Starting on Tuesday, we did 2 hours, 3 hours, 2 hours, 3 hours and then 2 hours today. Did the usual two classes on Wednesday also so another hour of riding that day. Also doing from 100-200 pushupe per day along with chin-ups when possible, 50+. On todays efforts I went after my desired time trial power at 360 watts starting with 1 minute, 1:30, 2, 3 and 4 minutes, one minute between. 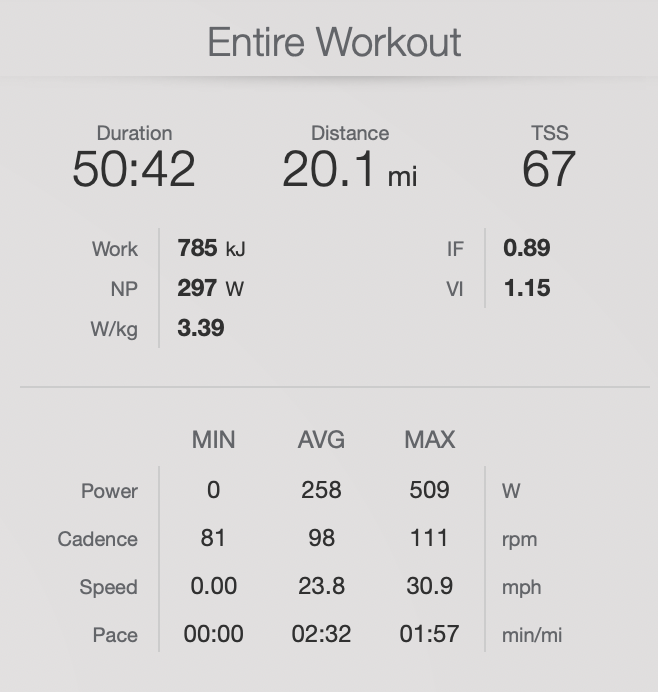 Then I went to one minute on, 30 seconds off for another 6 or 7 efforts.